Juliette is an anchor on our IRS application preparation team. She is exceptionally skilled in communicating via the written word, from both a technical and literary perspective. 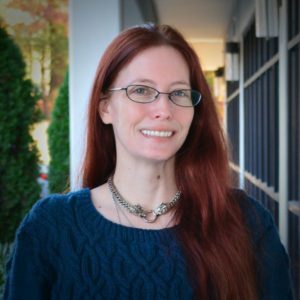 In addition to being a talented writer and support team member, Juliette is our resident Sci-Fi and fantasy aficionado, regularly participating in various festivals and events. She is a 2008 graduate of Colorado Technical University. She recently celebrated the completion of her first fiction book.